Life in the fast lane is tiring. When people pull to the side of the road they want homey foods that nurture both soul and body. That's what "365 All-American Favorites" provides: the comforting eats Morn made when the weather was bad or the chips were down. Here. in this irresistibly charming cookbook, are the timeless, traditional recipes for such yummy tummy treats as Macaroni and Cheese, Meatloaf, Mashed Potatoes, Chicken Soup, Chocolate Chip Cookies, S'mores-even Peanut Butter and Jelly Sandwiches. When loyal readers of the 365 Ways series were asked what they would like to see added to the list, comfort foods and American favorites were among their top picks. 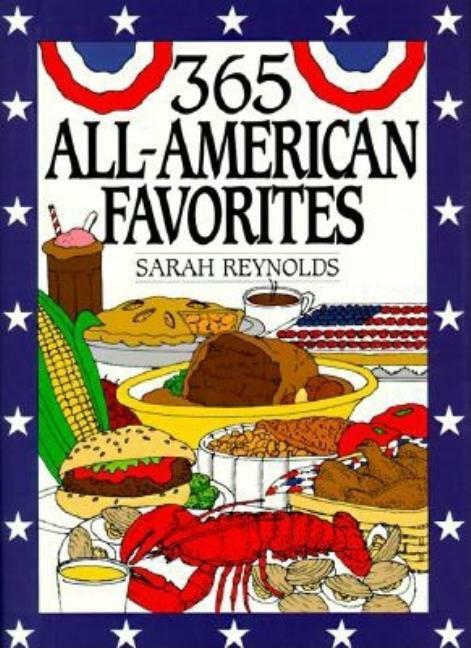 Reader requests and HarperCollins's ongoing commitment to the success of this remarkable cookbook line make "365 All-American Favorites" a sure fire winner. SARAH REYNOLDS is a recipe developer and food stylist who works frequently with "McCall's, Redbook, Family Circle, Woman's Day, " and "Good Housekeeping" magazines. She lives in Stamford, CT.